The EURO Distinguished Service Medal Award (EDSM) is the highest recognition in Europe of distinguished service to the European Operational Research community or to the profession of Operational Research. The award will be officially bestowed at the opening plenary session of the 30th European Conference on Operational Research in Dublin, if there is a suitable candidate. The EURO Distinguished Service Medal shall be awarded to an individual who has served the European OR community and the profession effectively for many years. To emphasize the European flavour of the Award, all societies are strongly urged not to propose a candidate from their own country. 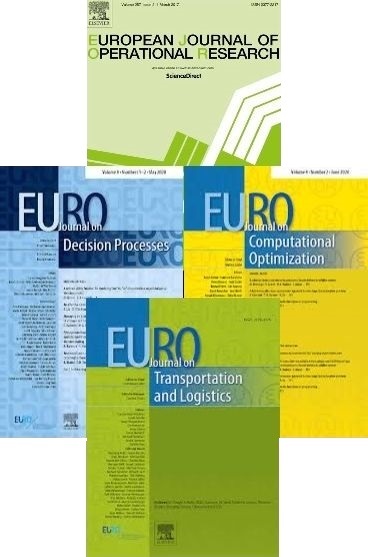 No currently active officer of EURO (Executive Committee member, EURO Distinguished Service Medal jury member, Organising and Programme Committee Chairs of the 30th European Conference on Operational Research) is eligible. and a list of previous laureates at https://www.euro-online.org/web/pages/259/last-activities-list.